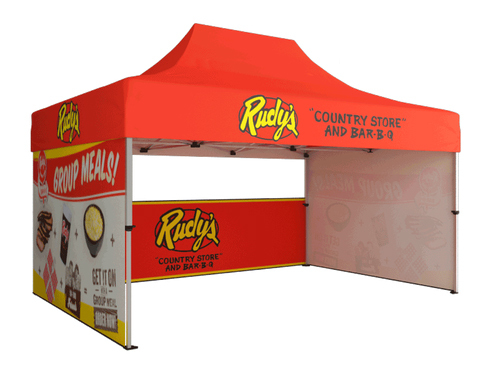 The Tru-Fit 8' tension fabric table top display is a highly effective way to exhibit your products and services. Not only is the display a cinch to manage with the softshell transport case, but this new wave of trade show booth design will keep you as a current contender in your industry. Designed to grab the attention of potential leads, this trade show display boasts a lightweight frame and optional LED lights, and the option to upgrade to a double-sided print and podium print! Perfect for conventions, conferences, and other events. Don't forget to add a custom table throw cover to the mix to complete this table top display look!